Sam Warren is Serendipity’s Creative Development Manager. He graduated from De Montfort University in the summer of 2014 with a BA (Hons) in Music, Technology and Innovation. Sam is also coming to the conclusion of a Research Masters (Relationships between Acousmatic Music and Movement Practice). 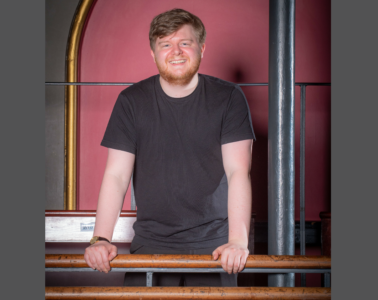 Sam is a composer and has created music for a number of dance practitioners, he is looking forward to applying technological ideas to the role, which will explore how Serendipity can become more sustainable as an organisation.